As much as ICA would love to close our doors one day, we know that hunger continues in our community. Last year, out of the 5,481 individuals we served, 22% of them were new to ICA. While we’re able to help many folks reach stability through our services, we know that crises can arise for any family at any time, and ICA wants to be here when they need us. Being a Monthly Sustainer helps ICA to serve our clients throughout the entire year. 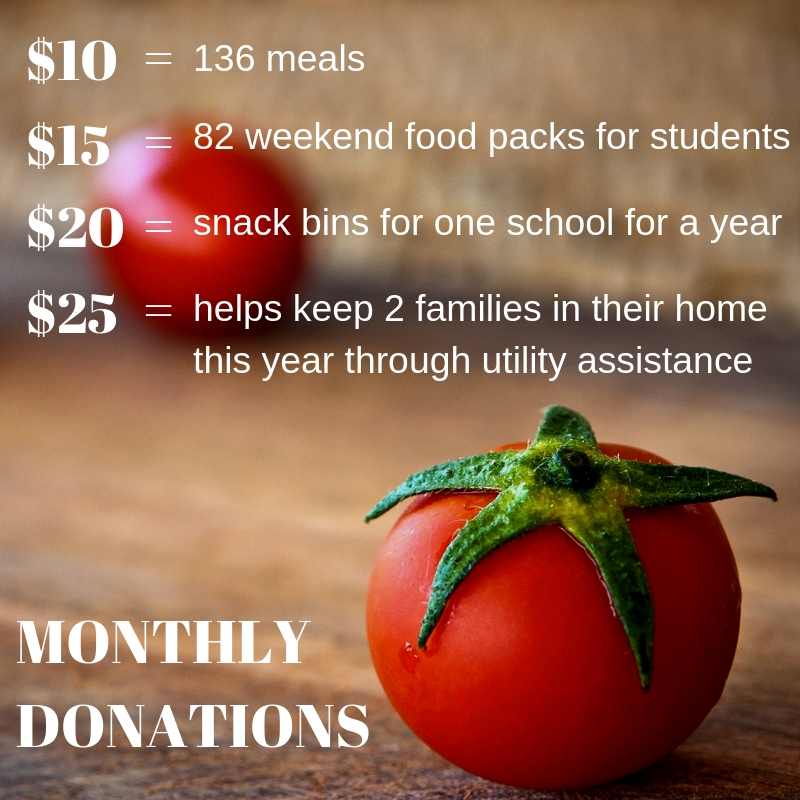 By donating just $10 a month, you can provide 136 meals to our neighbors in need this year. The impact of your dollar goes further when we can count on your support each month. To become a Monthly Sustainer, simply select ‘recurring’ at the bottom of the donation page.